In today’s challenging times for skilled labor, depending on the area you live in around the country, there is a huge shortage of technicians to handle the work load. Shops in some cases are not able to give the customer a time frame as to when the repair will be completed if their staffing levels for skilled workers are slim. Solano Community College in Vallejo, California has stepped up their game and added additional space to their Automotive Technology courses. Many of the classes can now be completed online; with the majority of the curriculum are hands-on experience. 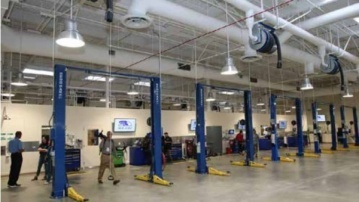 For further information, go to www.solano.edu/business/ automotive_technician.php.